The heavy, wooden furniture gives the coffee shop an old-fashioned flavor. You settle into a chair and scan the menu. On the second page, lattes and cappuccinos catch your eye. Or perhaps you are a coffee aficionado with plans to make your own coffee drink. You scroll through recipes but can’t decide between a latte and a cappuccino. These coffee drinks have the same basic ingredients – espresso, steamed milk and milk foam – yet they are unique. 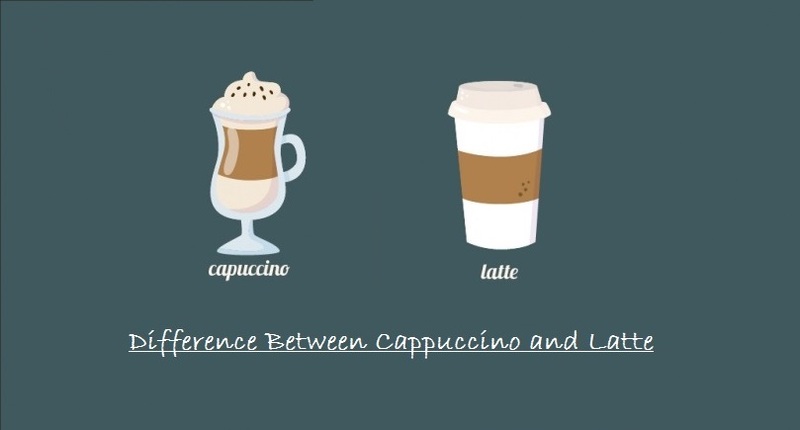 In this article, I am going to share with you the history, similarities and differences of lattes and cappuccinos, so that you can make your choice. The caffe latte, or latte for short, has been around for centuries. In Brazil the world’s leading coffee producer, adults and even young children habitually drink lattes for breakfast and with an afternoon snack. Germans, Italians, Spaniards and the French also enjoy caffe lattes throughout the day. In these coffee loving countries, lattes consist of a small amount of strong coffee mixed into a glass of warm milk. Lattes would have continued their inconspicuous existence if Lino Meiorin hadn’t catapulted them into the spotlight in the late 1950s. 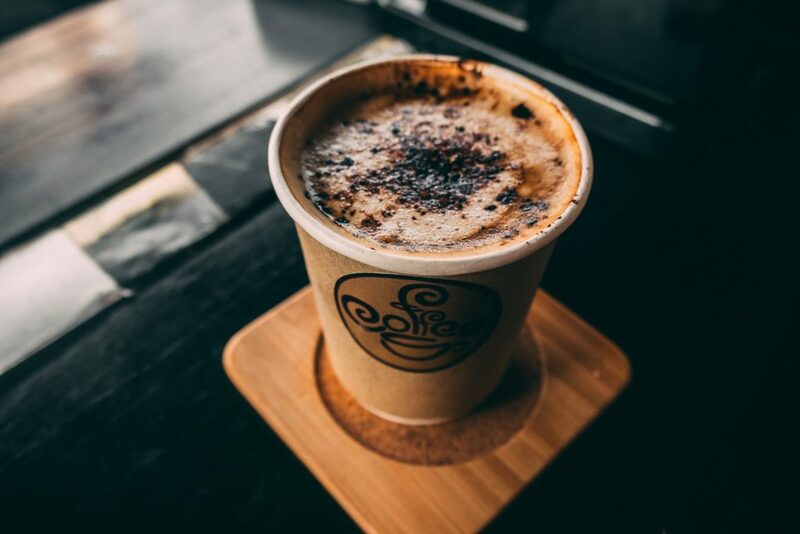 Signor Meiorin, an Italian-trained barista at the Caffe Mediterraneum, found that many of his clients couldn’t handle the Italian cappuccino’s strong flavor so he would increase the milk in them. He eventually perfected this specialty beverage composed of strong coffee with extra milk and named it the Caffe Latte. Meiorin’s latte became popular in California, spread to Seattle and then around the world. Lattes are traditionally made of 1 part espresso with 2 parts milk and topped with a thin layer of milk foam. They can be served in a tall glass, but many cafés prefer to serve them in a wide coffee cup to showcase latte art. You can easily make a latte with or without a coffee machine. First, choose your coffee. If you want the traditional flavor, pour yourself 1-2 fl. oz. of espresso. However if you have an adventurous palate, substitute the espresso with flavored coffee or even a single-origin coffee to give it a unique flavor. Secondly, steam 6-10 fl. oz of milk. A milk frother or a coffee machine’s steam wand make the best steamed milk and foam, but you can also heat milk and whisk it until it is foamy or vigorously shake cold milk in a jar and then warm it in the microwave. Once your milk is foamy, slowly pour it into your coffee while carefully holding the foam back with a spoon. Spoon the foam on to the top of your latte and enjoy! Five-hundred years ago in Italy, a Franciscan friar named Matteo da Basio founded the Order of Friars Minor Capuchin with the intent of rigorously following St. Francis de Assisi’s example. These Capuchin monks strictly renounced worldly possessions. Their travel-worn, bare feet and simple brown habits became a familiar sight throughout the Italian countryside and eventually all of Europe. People loved and respected the Capuchin monks for their unceasing efforts to decrease ignorance, poverty and injustice. It is not surprising that when a new coffee and milk combination arrived in Italian cafés, the people associated the rich, brown color of the drink with the beloved monks and named the drink cappuccino or “little capuchin”. In those early years, cappuccinos were made of strong coffee with a little milk and were sometimes enjoyed with sugar and spices. The cappuccino recipe varied greatly, though, in German, French and Italian cafés until the invention of the espresso machine. Italy’s Luigi Bezzerra patented one of the first coffee machines in 1903 and soon after sold it to Desiderio Pavoni. Together Bezzerra and Pavoni improved the coffee machine, and at the Milan Fair in 1906 they demonstrated how their machine used hot water and steam to produce “cafeé espresso”. Pavoni went on to commercialize espresso machines and by 1920 they were being used in all first-world countries. Twenty-five years and two world wars would go by, though, before the standard for cappuccinos became 1/3 part espresso with its crema, 1/3 part steamed milk and 1/3 part milk foam. Like the latte, cappuccinos can be made with or without an espresso machine. Start off with 1 or 2 fl. oz of espresso, either machine made or homemade. Slowly pour in an equal amount of steamed milk beginning at the middle of the mug and then circling outward. The steamed milk should give your cappuccino a thick blanket of milk foam. If you hope to satisfy a critical barista, your cappuccino needs to have 2 cm of microfoam. Last of all, decorate your foam with a drizzle of chocolate syrup or a sprinkle of powdered cocoa or cinnamon. The cappuccino’s thick layer of milk foam also makes an excellent canvas for latte art. Lattes and cappuccinos include the same ingredients and their histories cross paths in California’s Caffe Mediterraneum, but they are distinct coffee beverages and each should be appreciated for its own flavor.